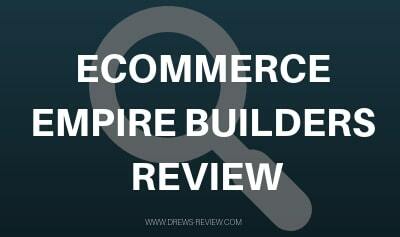 Ecommerce Empire Builders Review: Should You Buy Peter Pru's Course? You may have seen Peter Pru on Youtube recently if you search for eCom stuff like I do. His ad seems to be appearing quite often now for his course Ecommerce Empire Builders, the focus of this review. It also goes by the name "Six Figure Funnels". Peter Pru is a 28 year old entrepreneur that does not appear to be one of these "fly by nighter" Youtubers that come and go every so often. He seems to be legit and has even won a 2 comma club award by Clickfunnels. He achieved this through physical product sales in his online fishing business. Peter started sharing his strategies in ecom as a side project which eventually morphed into become an instructor online. His previous course is Six Figure Funnnels followed by Ecommerce Empire Builders which we are discussing today which looks to be the rebrand. On his Youtube channel he will talk about things like why very few dropshippers are successful, things he wish he knew before starting in ecom, email marketing strategies, Clickfunnels, Facebook ads and so on. He doesn't go into much detail with each topic because that material is reserved for his course for obvious reasons. Peter's course does focus on dropshipping but the strategy is a little different than that of his competitors with similar courses. He teaches dropshipping using sales funnels through Clickfunnels and discusses funnel hacking. Here Peter talks to you about mindset. Mindset is a key factor in any business. I don't think this warrants an entire module but perhaps for many this might be useful. It's a short module but take it for what it's worth to you. Peter goes into depth on funnel building in this module. He teaches you how to build them the correct way and, gives you pre-built funnels you can download to your account. Of course you will need a Clickfunnels account and if you're thinking about doing so check out my Clickfunnels review first. He gives a good explanation on these funnels and teaches you everything you need to learn about creating them specifically for ecommerce. No ecom store should be without an email marketing strategy. You'll find that most ecom courses these days do come with an email marketing module because well, it is important. If you are not collecting emails with your ecom business you are technically leaving money on the table. Just do it. In this module Peter shows you the exact sequence to use, exact emails to give to customers, how to set it up, etc, Focus is also on emailing and communicating with customers that abandoned cart and how to recapture them as a paying customer. There are apps for abondoned carts but learning the proper wording and strategy is important as you don't want to "piss off" people too much. It's a fine balance you have to weigh with your email campaign and Peter does a pretty good job of explaining this. This section covers both Instagram influencers and Youtube influencers. Starting off this way is a good strategy because not only does it build some data for your store, you can also build your list, increase your brand awareness and even make some sales. This can be done even before you start your Facebook campaign. Generally, the leads you acquire in this method is cheaper than that of Facebook. Facebook is where you will scale what you know already works and also continue with testing. A rather small module on FB advertising and nothing that I have seen that stands out from the rest in similar ecom courses. In this module Peter shows you the steps he used to scale to 7 figures using his own business. Every month Peter gets you a new "funnel Hack" from every one to Tai Lopez, and products like Lady Boss, Organifi, KinoBody and so on. What he does here is he goes through these high converting funnels, downloads them and recreates them. He will then provide these custom funnels to you to use for your campaigns. Just so you know, because it worked for these business it doesn't mean it will work for yours. They are proven funnels though so will most likely have a greater degree of success compared to one you start from scratch. You'll also get a recording of Q&A sessions, some other bonuses and live classes. 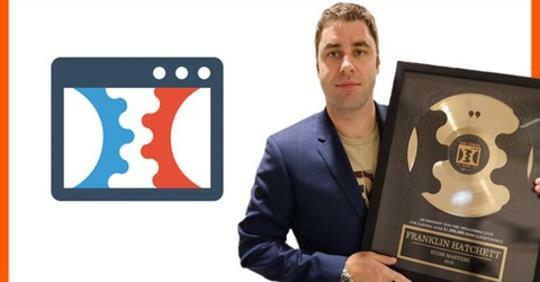 Getting a course from a proven funnel builder like Peter Pru is not a bad thing. As a 2 comma club winner it's clear that he knows his way around funnel building. The question I have to ask you though is do you want to drop a grand on this course? Remember, you'll also need Clickfunnels which is $97 a month for the basic version. With focus on funnel building, he doesnt really go into detail with the other proven stuff when it comes to dropshipping. Is there an alternative to Ecommerce Empire Builders? If you want to compliment funnel building with other ecom dropshipping strategies and not leave anything out, then you want to go with eCom Elites. Franklin Hatchett is the creator of this course and also happens to be a 2 comma club winner. 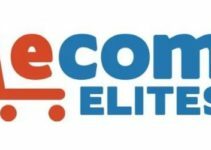 You can read my review on eCom Elites right here to get the deets. Better yet, eCom Elites is priced at just $197 or $297 which includes his Sales Funnel Academy. My review explains this more. Franklin's course is not only priced lower, but its got a ton more content, a lot more strategies, great for newbies, has many successful students and more. It's all you need really. It's my honest suggestion and don't want you spending a grand or more on a course. It's not necessary when you have a course like eCom Elites available to you. 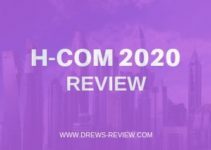 Please like & share this article or send it to someone that is seriously considering starting an eCom Business. They'll thank you later! 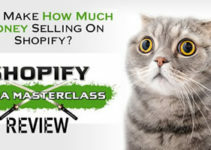 Good course if you just want to learn ecom funnels. I’d suggest eCom Elites over this course if you want to learn everything plus funnel building & execution.